The future comes today thanks to this addon. 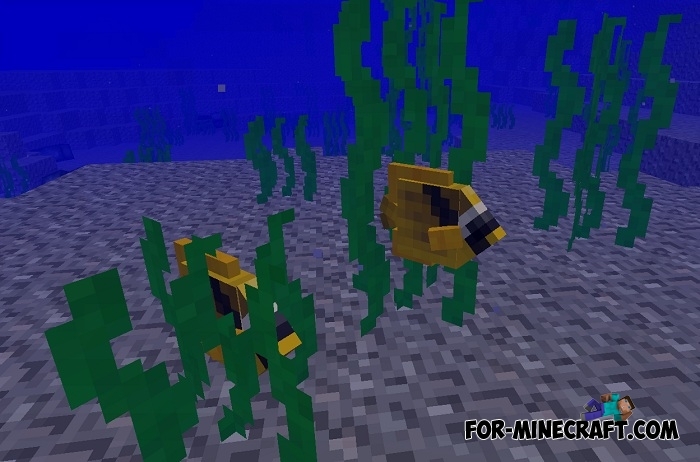 If you follow the news of MC or heard about the upcoming update, you probably saw several new mobs that will necessarily appear not only in Minecraft Java, but also in Minecraft Bedrock. 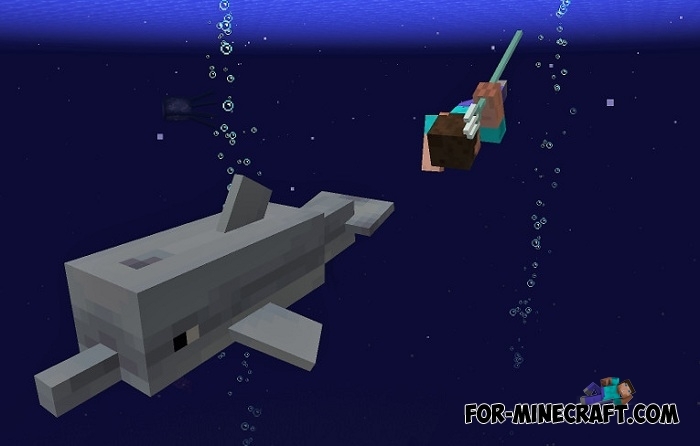 Developers will traditionally add new creatures and new items to the first snapshots for the PC version, and then take up the Pocket Edition. In fact, the addon is built only from those things that were shown at the presentation at the end of last year. 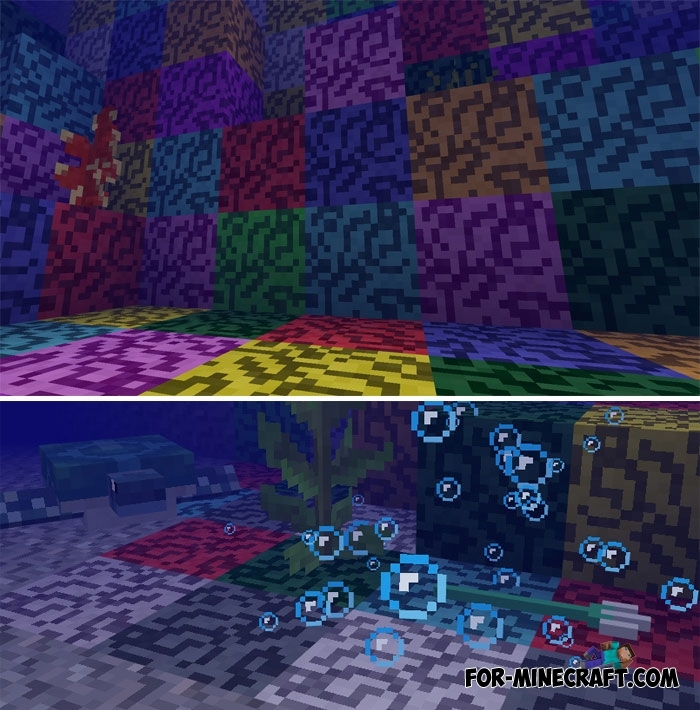 It's logical to think that most of this will appear in the next update of Minecraft PE - probably it will be v1.3 since the developers continued to release the beta versions and to date version 1.2.10 is the latest. The most important difference from what was shown on Minecon 2017 is the behavior and physical properties. The addon does not have the opportunity to implement such subtleties that are in this article - The Update Aquatic. More information can be found here: Minecraft PE 1.3 - Changelog. How to install the Minecraft PE Bedrock 1.3 addon?